The property is closed between 14 January and 28 March. With a stay at Be Live Collection Saidia in Saidia, you'll be on the beach and 2 minutes by foot from Saidia Beach. 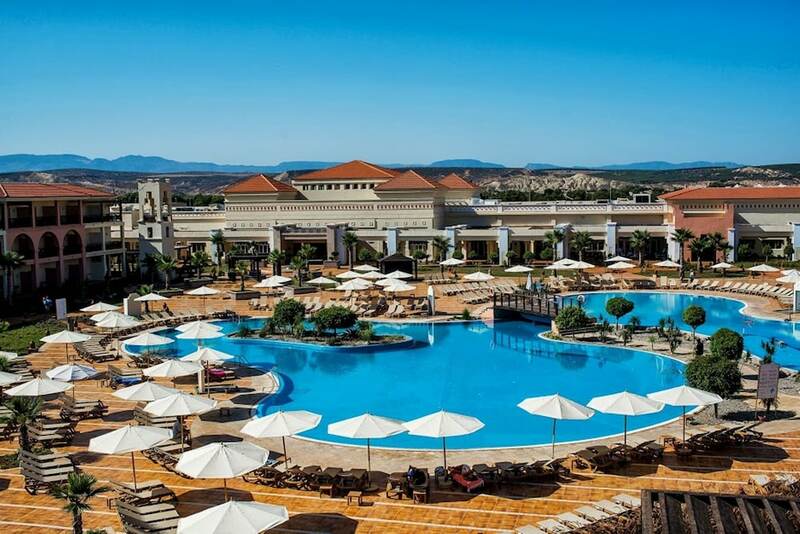 This 5-star hotel is 18.6 mi (29.9 km) from Berkane Municipal Stadium and 18.7 mi (30.1 km) from Eglise Sainte Agnes. Make yourself at home in one of the 488 air-conditioned rooms featuring refrigerators. Complimentary wireless Internet access keeps you connected, and cable programming is available for your entertainment. Private bathrooms with shower/tub combinations feature complimentary toiletries and hair dryers. Conveniences include phones, as well as laptop-compatible safes and desks. Dip into one of the 2 indoor swimming pools or enjoy other recreational amenities including a health club and an outdoor tennis court. This hotel also features complimentary wireless Internet access, concierge services, and complimentary babysitting/childcare. Satisfy your appetite at Buffet Safran, one of the hotel's 4 restaurants. Relax with a refreshing drink from the poolside bar or one of the 4 bars/lounges. Featured amenities include a business center, express check-in, and express check-out. Planning an event in Saidia? This hotel has facilities measuring 182 square feet (17 square meters), including a meeting room. Free self parking is available onsite.